Mi Casa Montessori offers a 3 half-day Toddler Program for children 2 to 3 years. 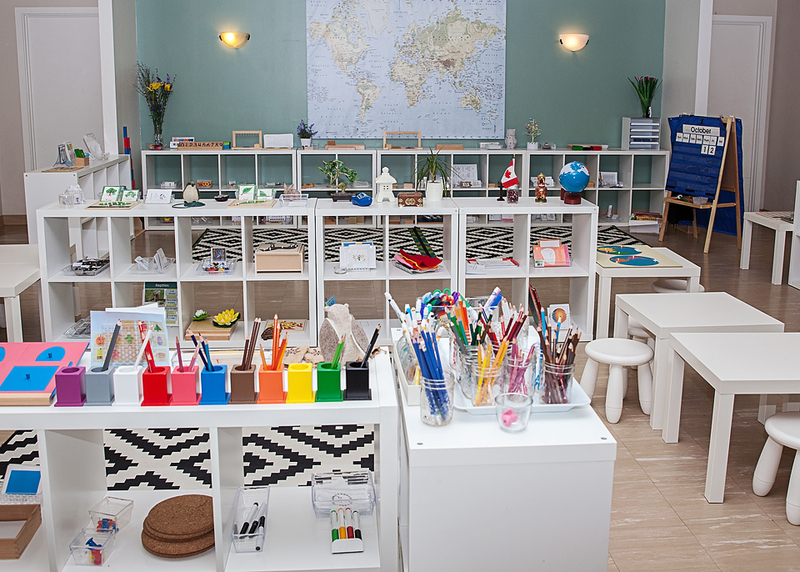 Mi Casa Montessori also offers a 4 or 5 half-day Casa Program for children ages 3 to 5 years. Three year old children must be 3 years of age on or before September 1st of the admitting year as required by child care licensing. Our students wear a uniform. The uniform consists of navy bottoms and a white top. Boys may wear a white t-shirt and blue cotton pants of their choice (no jeans please). Girls may wear any white top and a navy skirt, skort, tunic or pants. Please refer to our Parent's Handbook for more infomation on our school policies.